MUMBAI: Reserve Bank of India Governor Urjit Patel has resigned from his post, making him the first governor since 1990 to step down before his term ends. Patel’s three-year term was to end in September 2019. This statement by Patel was published by the central bank on its website. Speculation of Patel’s exit had picked up after differences between the RBI and the government spilled out in the open. This first happened a couple of months ago when RBI Deputy Governor Viral Acharya delivered a hard hitting speech on the need to ensure the independence of the central bank. The speech was delivered with the backing of Patel, suggested the footnotes in Acharya’s speech. The provocation of that speech, BloombergQuint reported, were letter sent by the government seeking consultations under a rare provision of the RBI Act. The provisions, laid down under Section 7 of the Act, allow the government to give directions to the central banks considered necessary in public interest in consultations with the Governor. 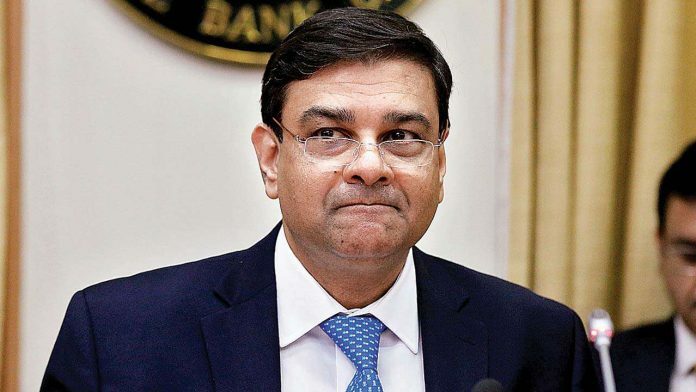 The contentious issues were discussed in a 9 hour-long RBI board meeting on Nov. 19, in which both sides seemed to have softened their stance. The next RBI board meeting was scheduled for December 14. Patel has resigned just days before that. Patel’s relationship with the government got off a rocky start. Just two months into his tenure, the government announced demonetisation, which led to the withdrawal of 86 percent of the country’s currency in circulation. The decision had been opposed by Patel’s predecessor Raghuram Rajan. Patel remained silent through much of the process of demonetisation and remonetisation. However, BloombergQuint had reported in November 2017 that the RBI would have preferred it if the government had deferred its decision until it had a larger stock of new currency notes printed. Recently, Indian Express reported that the RBI had made “significant observation” on some of the justifications given by the government for its demonetisation decision. As the demonetisation experiment passed, the reticent Patel turned his focus to banks and took a tough stance with both public and private banks. This has led to increased run-ins with the government. Eleven weak public sector banks have been put under the RBI’s prompt corrective action, restricting them from expanding till they clean-up their balance sheets. While the government had earlier supported the framework, it has since changed its view and has been calling for a relaxation of the framework. A Feb. 12 circular, which asked banks to begin resolution of stressed accounts a day after they delayed payment, has also led to a public battle between the government and the RBI in court. Patel’s objective, though, was to clean-up banking, both private and public. He has been equally tough on private banks that were seen to be lax in meeting governance and compliance standards set by the RBI. Two private bank chief executives – Shikha Sharma and Rana Kapoor – have been denied a term extension. A third – Chanda Kochhar – has stepped down due to allegations of impropriety. It is not clear whether the RBI had a role in her removal. Patel’s exit means the central bank has now seen two quick transitions. His predecessor Raghuram Rajan left at the end of his three year term but had indicated his decision to leave even before the government could come to a final decision. Patel exits with a few months to spare in his current three-year term. Former governors D. Subbarao and Y.V. Reddy both spent five years each at the helm of the central bank.